The 24-property-strong AirAsia subsidiary will use the investment to expand within Asia — as well as new properties in Scotland and Saudi Arabia — and wherever cheap flights can carry middle class travelers. Low-cost, value-based accommodations with a comfortable bed, great location and WiFi have taken precedence over the frills long associated with traditional hospitality, spawning a boom in hotels that value function over form. Seeking a greater slice of the budget-hotel pie, Red Planet Hotels, an investment company, has purchased a significant stake in Tune Hotels, a subsidiary of the low-cost carrier AirAsia. 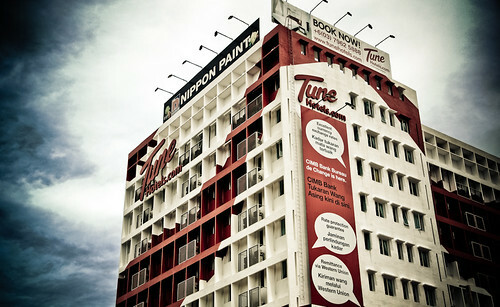 Exterior of Tune Hotel in Penang. Photo by Siow Jian Ming.